Back when I was a kid, I was always fascinated by DJs doing scratches and mixing beats for rap artists. Yes, this is the genre that started my interest in music. I listened to Francis M, Andrew E. and a bunch of other rappers and I was always amazed when it's time for the DJ to "do some scratch" with their turntables. Fast forward to 2015: I still love to listen to rap and one of the rap groups that I really like is the Beastie Boys. They have this song called "Three MCs and One DJ" where they rap and showcase the DJ-ing skills of Mix Master Mike - a true master of mixing hip-hop beats and turntable scratching. I love it! 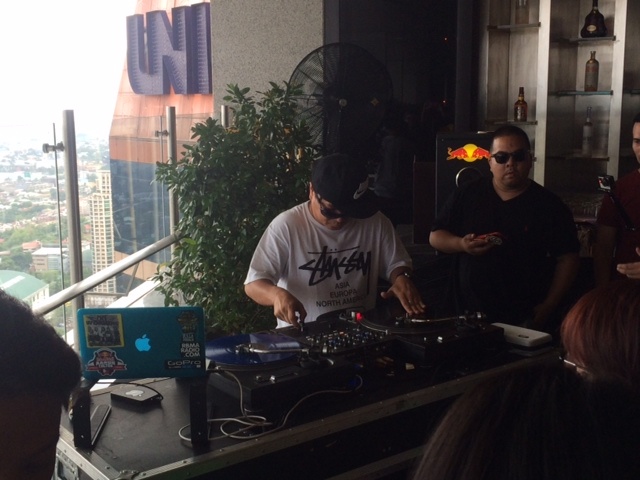 TRIVIA: Mix Master Mike is of Filipino descent! 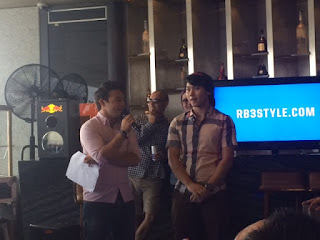 Anyway, few weeks ago, I was fortunate to be invited to the Press-con for the Red Bull Thre3style DJ Competition. This is an international DJ competition that is held every year. At the event they introduced us to the 6 Philippine finalists as well as the critically acclaimed DJ judges: DJ Shortkut & DJ Tashi. 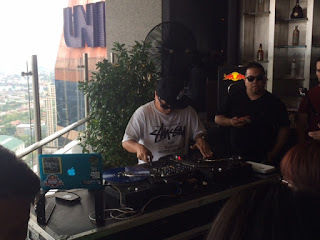 MANILA, Philippines – On its sophomore year in the country, Red Bull Thre3style pitted six of the Philippines’ hottest DJs at the National Finals held last June 27 at the metro’s biggest club, Valkyrie, in Bonifacio Global City. At the epic night’s end, defending champion DJ Carlo Atendido bested fellow finalists in DJ-ing skills, technical wizardry, and the ability to keep the crowd moving for a second shot at representing the country at the World Championships to be held in Tokyo, Japan later this year. DJ Nikita del Rosario, also a national finalist from the Thre3style 2014 run, and DJ Miguel (de Borja), the youngest of the night’s participants, placed first and second runners-up respectively. All six competitors, which included DJs Franco Zarate, K Groove (Kristian Hernandez), and Kouta Kutsuma, were given 15 minutes to impress the two judges, multiple DMC title holder DJ Shortkut and Vestax-ITF-DMC Champion VDJ Ta-Shi; and to rouse the Valkyrie crowd with various tracks, bold samples, and technical prowess. The 25-year-old admitted to feeling more pressure this time around; the exact opposite of his experience as an underdog the previous year. DJ Carlo took what he learned from that first competition appearance and added new dimensions, which he showcased at this year’s finals. Red Bull Thre3style pits the world’s best DJs in a competition that values technical skill as much as the ability to thrill a dancefloor. Competitors are judged on the dual platforms of technical ability and crowd reaction, and are given just 15 minutes each to prove that they’re the best in the room. Judges work to a strict criteria that also marks DJs on their originality in song choices, confidence performing and mixing prowess. 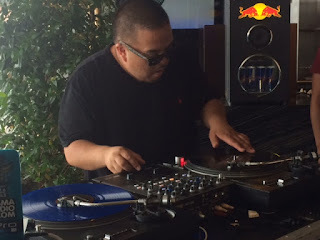 Red Bull Thre3style World DJ Championships 2015 will be held in Tokyo. For more information and highlights from last year’s Red Bull Thre3style, visit www.redbullthre3style.com and www.redbullcontentpool.com.